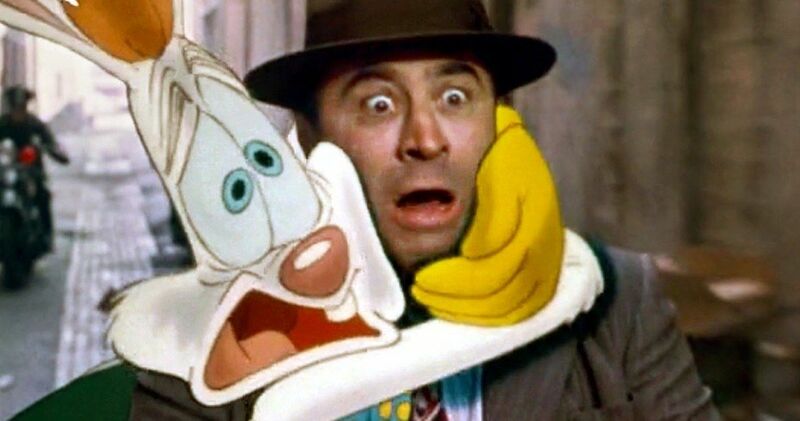 A supposedly wonderful script for Who Framed Roger Rabbit 2 is just sitting around collecting dust over at Disney. Robert Zemeckis is one of the most inventive and imaginative filmmakers of our time and, while some of his recent efforts haven’t quite delivered, that takes nothing away from what the man has managed to accomplish in his long career. One of his crowning achievements is 1988’s Who Framed Roger Rabbit? which, despite being very successful, has never been given a sequel. But if Disney wanted it to happen, they apparently have a perfectly good script just lying there. Robert Zemeckis has been making the rounds promoting his latest movie, Welcome to Marwen. Unfortunately, the movie hasn’t been doing very well at the box office (to say the least) and critics have been anything but kind to it. But that’s another story entirely. During a recent interview, Zemeckis was asked about the fact that Disney doesn’t seem to be interested in Roger Rabbit 2 and if there might be a home for such a project in the era of streaming services. Here’s what he had to say about it. There is a lot to unpack in that statement. Clearly, Robert Zemeckis is taking a little jab there with his princess comment. But his ultimate point is that the movie wouldn’t fit in with what the studio is trying to do these days. Then again, Disney tends to do what makes money and, given the fact that we’re still talking about Who Framed Roger Rabbit? 30 years later, doesn’t a sequel seem like the kind of thing that could make some money? As for the script in question, that raises other questions. It isn’t clear who exactly wrote the screenplay that Robert Zemeckis is referring to. We know that at one point, years ago, J.J. Abrams had been brought in to pitch on Roger Rabbit 2 and they were in early stages of developing the project, with some storyboards and such, but that’s about as far as it ever got. But, as far as we know, Abrams never turned in a full screenplay. In any event, there’s evidently a “wonderful” sequel just waiting to get made. Disney is getting ready to launch their own streaming service, Disney+, next year. They’re going to be producing original movies and shows for the service in order to compete directly with Netflix. While Robert Zemeckis doesn’t seem optimistic about the prospect, Roger Rabbit 2 might be a way to draw in some subscribers. And since Zemeckis has ruled out Back to the Future 4, he could probably find some time to fit this into his schedule, should the Mouse House ever come calling. Sadly, for the time being, that’s a call that they’re probably not going to make. This news was first reported by Yahoo.